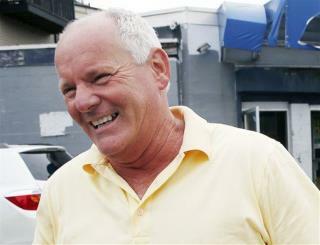 (Newser) – The Massachusetts medical examiner's office has determined that cyanide poisoning killed Stephen Rakes, an alleged extortion victim of Boston gangster James "Whitey" Bulger who had hoped to testify at Bulger's trial, prosecutors announced today. The medical examiner's office concluded that Rakes, 59, died of acute cyanide toxicity in July and ruled his death a homicide. Authorities say his death wasn't related to the Bulger case. that coffee definitely wasn't his "cup of tea"! Even if Whitey had done it what could they do to him? But anyway good police work on this one. I bet that business associate thought it was a great idea, considering most people would believe it wad related to his pending testimony. If the allegations were true, that would be a good catch.